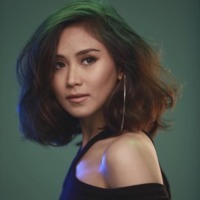 Sarah Asher Tua Geronimo (born July 25, 1988) is a singer, host, model, dancer, and actress from the Philippines. Geronimo started her career at a young age and appeared in children's variety shows such as Pen-pen de Sarapen, Ang TV and NEXT. Geronimo won the Star for a Night singing competition and released her first album Popstar: A Dream Come True in 2003. Following her debut, she recorded five more albums: Sweet Sixteen in 2004, Becoming in 2006, Taking Flight in 2007, Just Me in 2008, and Music and Me in 2009. She also recorded a Christmas album, Your Christmas Girl, in 2009. Geronimo has had a series of concerts at the Araneta Coliseum in Manila and several world-wide concert tours, often done in conjunction with a new album or movie appearance. Sarah Geronimo, aside from being a singer, is also a TV and movie actress. She appears in television with the musical variety show, ASAP Mania. As for her movies, she starred in the movies A Very Special Love and its sequel, You Changed My Life, which is the highest-grossing Filipino movie as of 2010, with box office receipts of over ₱400 million. In 2010, she is nominated as Best Actress in FAMAS awards due to her outstanding performance in You Changed My Life. In 2010, Geronimo received the "Entertainer of the Year" award from Aliw Awards Foundation and the Best Female Major Concert for her sold-out Araneta show "Record Breaker."